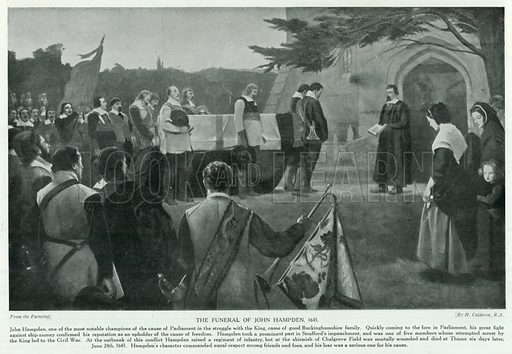 The Funeral of John Hampden, 1643. Illustration for Story of the British Nation (Hutchinson, c 1920). Available worldwide for immediate download up to 4,814 x 3,324 pixels.